Val Renihan is one of the country’s top riders and trainers. 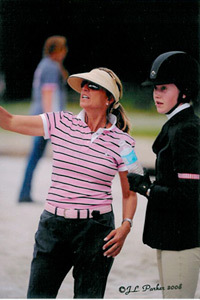 She is also a highly respected clinician, teaching for the USHJA’s Trainer’s Symposiums. She grew up in Indianapolis, IN where her parents owned and operated Grandview Stables for over 50 years, which her sister now operates. 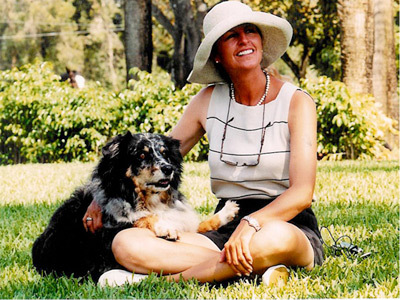 Val has ridden and shown all her life and started training students at the age of 16. She has ridden and trained hunter champions at the major shows throughout the Midwest and East Coast. These include such shows as The Pennsylvania National, Washington International, Capital Challenge, Winter Equestrian Festival, Lake Placid, Upperville, Bluegrass Festival, Old Salem Spring, Kentucky National and the USEF East Coast Jr Hunter Finals and Pony Finals. She has trained USEF National Hunter and Grand Hunter, Horse of the year Champions as well as numerous Zone and State Champions. Her students have both won and been in the top four “Best Child Rider” awards at The Pennsylvania National, Washington International, Old Salem Spring 1 & 2, and HITS, to name a few. Equitation wins include the ASPCA Maclay Regionals 6 times, The Christy Conard award for overall Equitation Champion of the WEF circuit, Champion and World Champion at the Capital Challenge Horse Show, Devon, Winter Equestrian Festival, Lake Placid, ribbons in every National Equitation Finals as well as the USEF Pony Medal Finals. Jumpers purchased and trained for her clients have represented the US in FEI World Cup Finals and the Super League, as well as winning major Grand Prixs, including the 2009 Washington International Presidents Cup and numerous classes through out Florida and the East Coast. Val currently owns and operates Findlay’s Ridge LLC located in North Salem, NY and Wellington FL. In this topic Val Renihan breaks down the flying change in order to defuse the horse’s nervous anticipation of the flying change. Her exercises produce the relaxed, supple changes needed for winning equitation and hunter rounds. Val Renihan introduces exercises she uses to develop the strength and security in the seat and legs of her riders. Get to know Val Renihan from her introduction to the sport to her biggest influences. In this interview, the highly respected rider, coach and clinician talks about the experiences, the people and the horses that have helped shape her successful career.